Thinkwise commissioned Forrester Consulting to conduct a Total Economic Impact™ (TEI) study and examine the potential return on investment (ROI) enterprises may realize by deploying a custom Thinkwise solution. The purpose of this study is to provide readers with a framework to evaluate the potential financial impact of the Thinkwise ERP on their organizations. 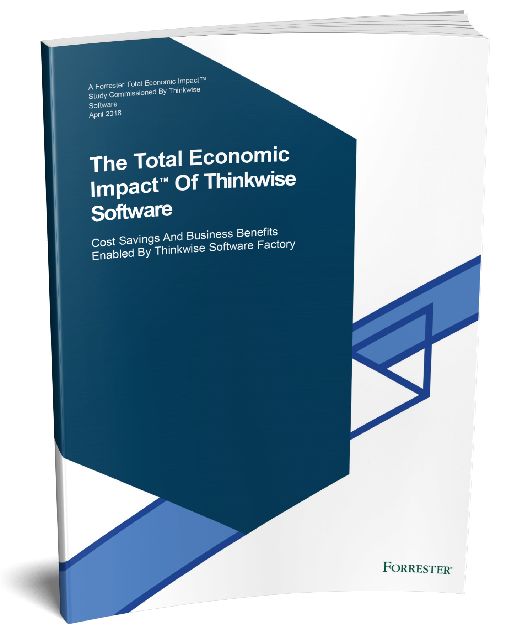 To better understand the benefits, costs, and risks associated with this investment, Forrester interviewed one customer with multiple years of experience using a custom Thinkwise ERP solution. The organization used the ERP to manage the financial planning, accounting, and maintenance functions of their short sea shipping business. Quickly fill in the form!